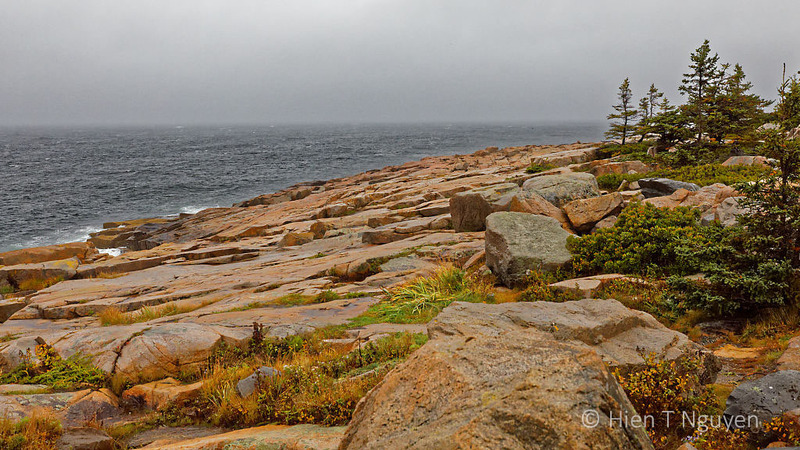 Under the rain, I drove to the Schoodic Peninsula which is a separate part of Acadia National Park near Winter Harbor. 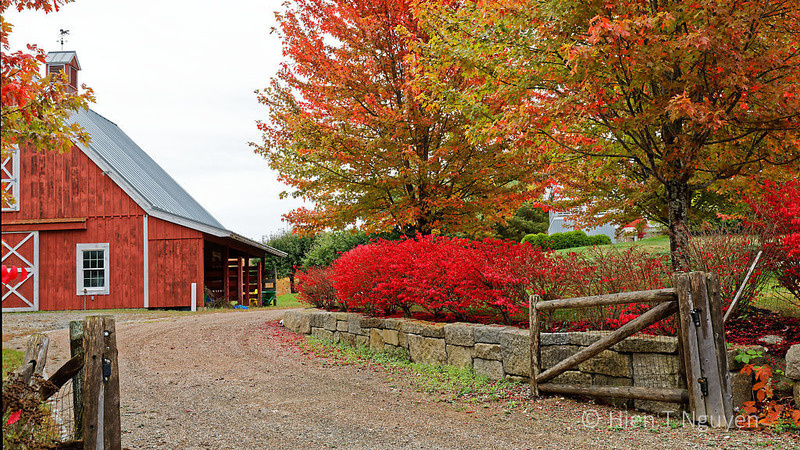 It does not have as many visitors as Mount Desert Island where Bar Harbor is located, and on a rainy day there were only two cars, mine included, on the road. The Schoodic part of the park was practically closed for the season, and the rain and wind sent me taking pictures of the local life. Coastline on Schoodic Peninsula on a rainy day. 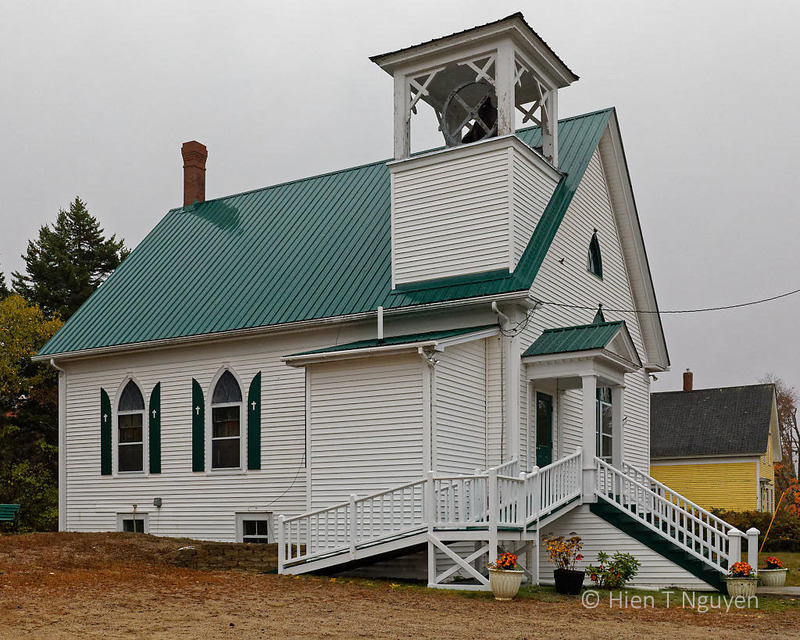 Church near Winter Harbor on Schoodic Peninsula. 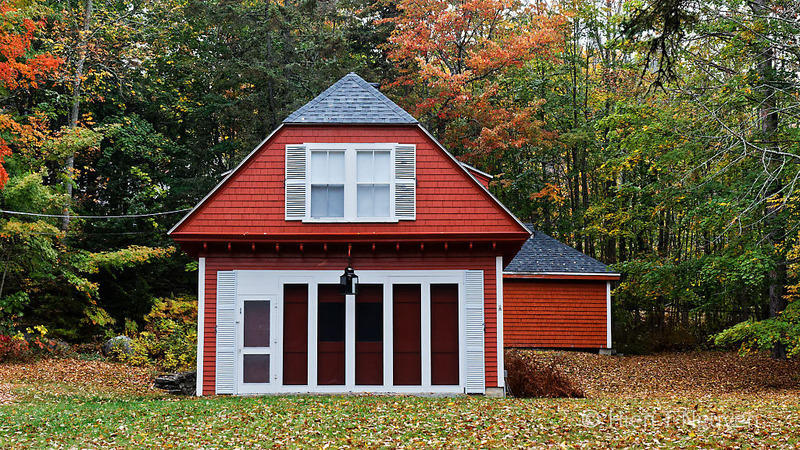 Beside tourism, the people living around Acadia National Park depend on the lobster industry as a major source of income. 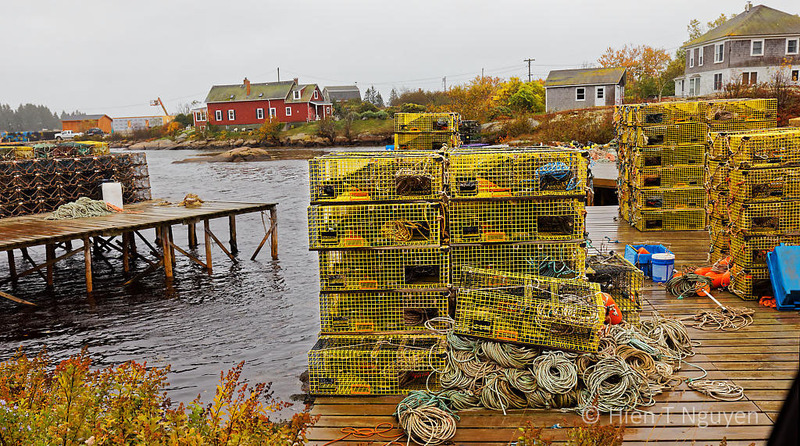 Lobster traps and boats can be seen at almost every harbor. Lobster traps, also called lobster pots. 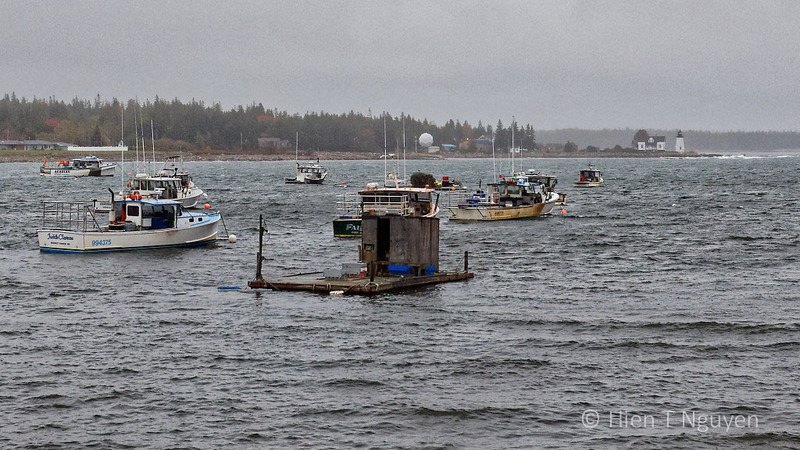 Lobster boats at Prospect Harbor. 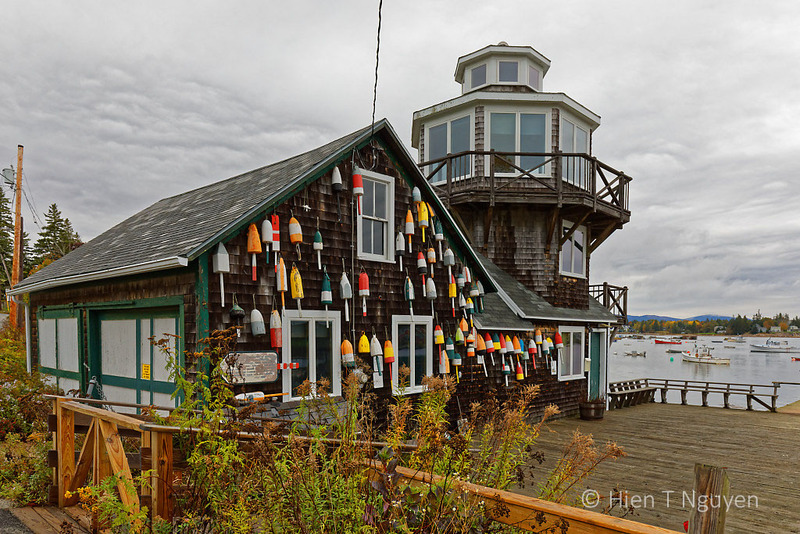 Lobster floating marker buoys decorating a shop near Bass Harbor. 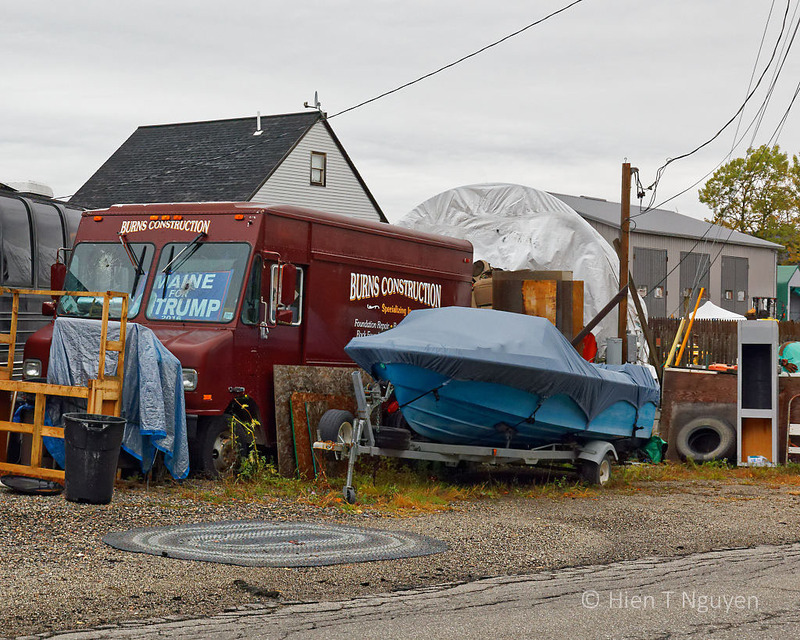 A Maine political statement near Bass Harbor.